For its blend of grandeur, cruelty, drama and sheer unrepentant passion nothing can match the history of the Spanish Empire. And it all started with a young strawberry blond Castilian girl named Isabella. This wonderfully produced book will engross you to the very finish. Dynasties are how we keep track of history, dynasties are also all about who your parents where, or how many children you had. Genealogy and history are therefore never far away when writers and historians turn their attention to the European Middle Ages. Medieval history is obsessed by the angular thread of a family tree. The more joints the better, and hopefully with as many shields as decorated the tree of Sir Turquine for colour. It essentially reflects that power in medieval life was directly traced through the marriage bed. Especially in Spain where, increasingly, lineage counted for so much that by the dawn of the 16th century your life could literally depend on it. Thus it is fitting that the first 9 chapters of Giles Tremlett’s verdantly voluptuous biography of Isabella of Castile is suggestively represented by the significance of the soiled sheets of a conjugal bed, held up in feverish triumph for assembled courtiers and awaiting crowds to inspect. The horrifying prospect of a Royal marriage night being made into a ceremonial occasion seems to sum up so much of what mid 15th century Spain was all about. Yet we might do well to recall this bedding tradition lasted even in Britain right to the marriage of the William of Orange to Mary Stuart in 1677, and well into the late 18th century in France. Isabella certainly wasn’t shy about it. Enrique IV had thrown the old tradition out when he married Juana of Portugal, and it had only called into question their subsequent offspring. When Isabella chose and then married Ferdinand of Aragon, she made sure their union was corroborated. For Isabella it was proof of her chastity and purity, proof also that any child born within the year was legitimate as well. This sense of secure lineage meant that a female of a Royal or noble line who could be delivered a virgin to her husband was as treasured as gold in the marriage trade of medieval Europe. Isabella’s unashamed revival of the bedding ceremony equally shows us a young woman who calculated what was best with cold pragmatic decision. Truly this ambitious young woman, who had made sure her bedding was a very public affair, knew good and well how to play her virginity to her best advantage. Early on it is clear that Isabella was a woman who played the game by the rules and at the same time recognised that when thrones are the stakes there were none. She risked everything by marrying Ferdinand of Aragon without permission, sensing he would rule with her not over her. Many might see romance here, but at first Isabella wanted powerful husband who would rule with her. It was a move from which there was no retreat, the purity of the sheets were irrevocably stained with her intent to rule on her own terms as a monarch, not jus a consort. Indeed had not the new Borgia Pope come to her rescue, her enemies had done their level best to invalidate her own reputation and legitimacy by condemning the marriage as unlawful. Her die had been cast, but with the sublime twist of kismet’s ironic knife, a broken law was best stuccoed over by a crooked Pope. Isabella’s mode of decision emerges from the pages as unerringly audacious. Once decided upon a course of action, that was usually closely associated with a personal goal, she seized upon it and then rode out the backlash until beaten, or vindicated by the will of God. 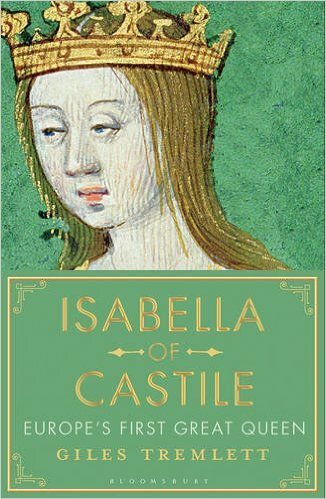 The story of Isabella of Castile’s rise to the position of most powerful Queen in Europe is then one of almost continual single combat, in which the question at hand is left up to courage, skill and the almighty. What better could suit Isabella? A woman who when it came down to it cared only about the opinion of God as respecting her actions. Who kneeled only to her Confessor, who was her link to the judgment seat of Christ. This gave her the famed self assurance that made her legendary. The queen of Castile was not just any other lady, she was a woman on a divine mission to establish royal power in Spain, centred on herself, her husband and their heirs, and from thence came her drive and purpose. The pure queen, the Catholic queen, Isabella wanted to be seen as both by her subjects. The image she created began with her confident displays of royal prerogative, assuming the mantle of monarchy rather than having it bestowed, choosing her own husband and in lieu of legitimate approval, declaring the marriage consummated to the entire court. In her choice she won a valuable partner and a man who treated her as an equal monarch. Then after the War of Castilian Succession, utilising the new power of printing presses to make certain of her unique legacy. Wether hack or historian, so more glamour and gilt that could be added to her personal legend the better and all the while Isabella never lost an opportunity to flaunt her womanly weakness in overtly heavy handed ways. There was no doubt that beneath her velvet glove she wore a mailed gauntlet. Her mission was to centralise loyalty to the crown. The crown was an allegory of God’s earthly power, for it was He who bestowed the right to rule on mortals preordained to carry the burden. Thus Faith and Nation joined hands upon the throne. The Monarch should be an anointed vessel, ordained by the church, yet never controlled by it, the supreme focus of a country. The crown was Spain, and by that token if the monarch was pure, so too should be the land. Isabella had a vision for the primacy of Spain, an inherited mandate from decades of reconquista to have a United Spain, and a Spain for the Spanish and the Cross. For centuries, especially in the south, the line between cultures had blurred. Christian, Jew and Muslim were sometimes impossible to identify by mere sight. Chapter by chapter we see her as she, one by one, ticked off the checks that closed her grip on control. First was the throne, then creation of an image, then the control of words and language, and the rule of law. She was actively washing away the Spain that was, and recasting it into the Spain that would be. Focused entirely on glory for the monarch and the church. Her wish to do good, to fix problems and to make the country stable, was undertaken with the exuberance, passion and disinterest of repercussion that comes from youth in power. Young minds often have the simplest ways of confronting problems, add to that autocratic power and you open a dark corridor. When asked Machiavelli’s question about wether it is greater to be loved than feared, Isabella answered both, but fear was more useful. Her consolidation of power came at the expense of many. Although the book casts her as a heroine, and a figure to respect, at times the author seems to argue that this is solely because she was a woman doing things a man would do. Yet we should be cautious in acknowledging her greatness in the light of her gender alone, without casting a look at the effects of her reign. For had she been a man, she might well have been remembered only as a tyrant. Tremlett therefore asks for us to view Isabella with an open mind, and seems to indicate her religious fervour was the motive for most of what she did. Yet he is wont to slightly hint that her piety was superstition, his style is somewhat tongue in cheek when it comes to her deep set religious principles. Isabella’s goal was to create a homogenous, ordered and pure society, something different than the feudal melting pot that and typified Spain up to that point. In order to affect the stabilisation of the new unified monarchy Isabella and Ferdinand did two main things. 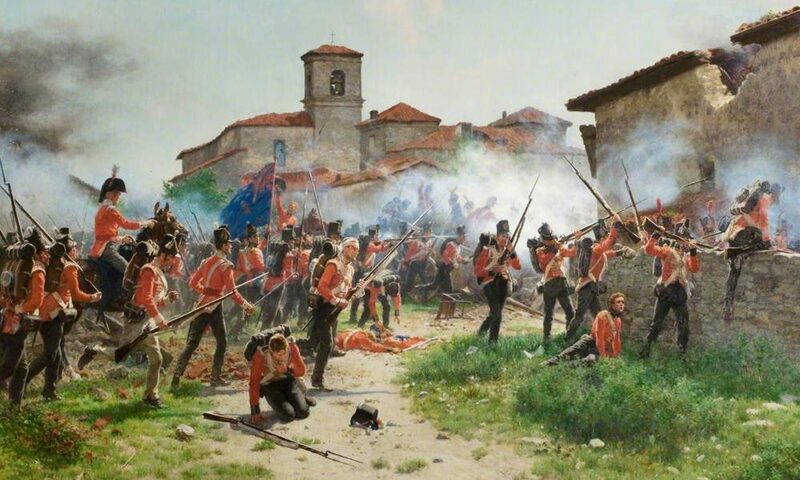 First was the enfranchisement of Hermandad, the urban militias dedicated to keeping order as a quasi policemen and forming a quick military response force to defend the kingdom. They became Isabella’s tools of justice. Working almost parallel with this was her most notorious invention, the Inquisition. Most people throw this name around as evidence that the church ruined humanity. Most don’t care to realise that it was a created and sustained by Royal Appointment. Thus the inquisition and the exercise of royal power via the Hermandad was incubated and unleashed, partially covered by the “crusade” that was launched against the kingdom of Grenada. By 1400 it should be recalled that Christendom was under threat. By Isabella’s lifetime, Jerusalem had been lost since 1187, the crusader states had fallen in 1291, the march of the Islamic powers had by 1453 overwhelmed the gateway to Europe, the beacon that was Constantinople had been extinguished by the silken, perfumed rump of the Ottoman Sultan. The only place in the western world where Christian armies were advancing in victory was in Spain, and that fact covered many sins in Rome. The Queen is typically seen as an invincible icon of power and strength, this biography shows us her multiple defences as it attempts to penetrate them. Isabella liked to be seen a certain way. She crafted an image of feminine delicacy, but should this be pierced she was quite happy for the overly curious to see the steel beneath. In this way no one would ever be able to predict her. Tremlett astutely shows us that her insecurities are best seen only when the worst happened. We discover on a personal level, she was in fact a romantic, who delighted in tales of chivalry when in the day to day business of state she was a detail person and an organiser. She loved beauty and grace, and seems to have had a fear or dislike of spilled blood and open water. When Ferdinand was almost assassinated she could not bare to view the wound, and she hated bullfighting in case the matador or horse was gored. The bull’s blood did not matter. Though she came out to be with her troops, and indeed made a city surrender by merely riding into the besieging camp, she disdained to view battle, and turned away in prayer when a sally occurred in her presence. She was a jealous and adoring wife, finding ways to excuse women from her husband’s presence and was thrown into despair whenever he or her more favoured children grew ill. Isabella and Ferdinand came together out of cool headed politics, but remained out of devotion, though flawed, he was flawless to her. Despite this, the only real cracks in her armour was when God came into the picture, she feared sin, hence perhaps only churchmen could address her in tones that could make her still seem like a little girl rather than a reigning Queen. In crisis, in faith and in love Isabella can be glimpsed as a woman of parts rather than the austere sovereign who defeated Portugal and Grenada, sent voyages of exploration, sanctioned the Inquisition and the expulsion of the Jews and essentially created an all powerful monarchy for her new emerging nation. But for all the glory and achievement this is also a story of fanaticism, intolerance, ultra nationalism and religious fundimentalism. The Spaniards became the foremost proponents of forced conversions in the world, the destroyers of knowledge deemed heretical because of the language it was written in. By 1500 Spain had been remoulded so as to be almost unrecognisable to what it had been a hundred years before. In Isabella’s new Spain there was no room for anyone but the right kind of Spaniard. The Jews and Muslims of the past centuries where no longer considered Spanish. Yet this was not unusual, many states in Western Europe had persecuted its minorities, Isabella was merely following the crowd. But Spain was unlike anywhere else, and what becomes almost unforgivable is not the formation of any inquisition, or the consolidation of royal power at the expense of others. It isn’t conquest or persecution, it is the betrayal. Both Jews and Muslim were considered under the sole protection of the crown, and had been for centuries, Isabella had proclaimed it so and signed treaties confirming it. For these people, they could turn for justice and protection to the monarch only, and Isabella betrayed them all. Did she do it alone? No! And a flaw perhaps in the book is that it places perhaps too much weight on Isabella’ shoulders, and perhaps also therefore too much of the blame. This is very much a story of Isabella, her relationship with Ferdinand is not really explored except that she grew to love him and was very jealous. Nor is the Spain of old, which Isabella is credited with washing away, very closely examined which narrows the view. Very little credit is given to anyone else, either to advisors or relatives or generals, Isabella truly comes leaping from this book as a one woman army. However in that sense she is therefore left with much of the responsibility, and as a result empathy may not be what lies at the end of this journey. The most sympathetic, if not heroic figure I encountered was that of Hernando Talavera, the moderate level headed and pious Archbishop of Grenada, and the more I read the more I seemed to distance myself from Isabella. This book demonstrates through an unyielding tapestry of blazing endeavour that in the course of one lifetime, a country of many parts became one entity called Spain. The frightening implications of what absolute power can achieve in about 30 years, are all here to see. Also to see is how Spain broke into the Renaissance, and at the same time immediately separated itself from it. This was a very different place to Italy and France, where Royal Power was still something fragile. In the Iberian Peninsula, a blend of bottomless fatalism, deep set by centuries of hardship and struggle, birthed a culture that when so directed became not only fiercely independent but doggedly assertive. Tremlett guides us through the pivotal moments of Isabella’s life with a great sense of atmosphere. Breaking her tumultuous life into three rough periods; her assumption of power, her struggle to stay there, and her Crusades, strung in between are more personal snapshots. Nothing is too private or too public to be included, and at the same time Isabella’s mystique remains hard to conquer. How then are we to think of Isabella? Known as the Catholic. As a woman, this book peeks at her humanity but views it only fleetingly, those well crafted screens of royal and official dignity remain as strong as the mightiest castle. Motive is elusive. So important a facet when the subject at hand was the co-author of multiple persecutions via the ultimate invention of divinely inspired royal power. I read on as I might have in a novel, hoping to find something that could undo what had been done, and yet knowing how the story ends secretly admitting there was no apology in the acts of this monarch. Indeed much of what will lead you to the end of this enticingly written book, is that last chapter, and the empty promise of some kind of redeeming act from a figure who felt in her heart she was doing no wrong. At the end the author asks us to think about Isabella as she would have thought about herself. Yet even Tremlett has to admit that she crossed the line into tyranny like the worst masculine rulers ever had. When she died, her subjects and foreigners alike would begin to use the word Spain in terms of an entity rather than a geographic place. Yet also she was not mourned long, for though her reign saw the forging of a new nation, something which contemporaries put down to her and not her less famous husband, it was recognised also as an oppressive regime. Isabella was the foremost and greatest Queen of Spain, in wider European terms, which she herself would not really have understood, because she saw things in light of Christendom and through an ultra nationalistic veil of royal prerogative, she was also the first woman of the medieval age to attain power and govern in her own right. But these are murky waters with which to clean reputations, stained as they are with oppression and tyranny. She made a new Spain for her successors, yet far from being a different kind of monarch, Isabella of Castile turned out to be an all too familiar one. Previous PostPrevious Isabella of Castile Book Giveaway. Next PostNext The Week in History Issue 5.